High-Growth Business Hiring: Win the War for talent with these 4 Tips to Competing for & Attracting more Talent. When competing against 'market leaders' for talent what can you do? Firstly, let's start with what not to do. Sometimes, for whatever reason a recruitment campaign fails. It's not ideal but hey, these things happen. Even a genius can fail from time-to-time. For a lot of recruiters the natural reaction is to increase the advertised salary to 'appeal to more candidates'. They'll scour their competitors sites for vacancies, identify the salary discrepancy and presume the salary must be the catalyst to candidate attraction. On the surface this is a viable option, a higher salary will likely attract applications...but not necessarily from the candidates you want. The best candidates on the market value job satisfaction and purpose over salary. Competing with established adversaries head on by matching salaries is a fraught tactic. In most cases fighting fire with fire will burn a whole through the company wallet and extinguish profits leaving growth plans up in smoke. It's vital to have a long term candidate attraction strategy that goes past the pound sign. Focus on offering candidates what money can't buy. Your business is unique and growing fast. You must be doing something right! Sell candidates your vacancies by telling them just how great your brand is. Here's 4 tips to attracting more talent and cementing yourself as an employer of choice. Happy employees are loyal, productive and not shy to go the extra mile. Creating a great workplace not only helps with the retention of top performers but also to attract like-minded talent into the business. However, creating a truly great workplace isn't just about buying some bean bags and a ping-pong table. Nor is it the end of month Pizza day or dress down days that employers plaster across LinkedIn. To fully engage employees we need to understand what they really care about. By understanding their ambitions, wants and needs we can create an environment that's conducive to reward and performance. By creating a blend of logical and unique perks and benefits you'll be able to set yourself aside from competitors and attract the highest quality candidates to apply for your vacancies. One great logical perk we've encountered is a departmental perk for the sales team. Ask yourself what sales care about it, it's money right? So it makes sense to offer higher commission thresholds opposed to 'duvet days' or extra holiday entitlement. More sales means more money for both employee and employer, win,win! It's also important to think outside of the box to create unique perks. One brilliant idea we came across was a seasonal perk. Job board Reed ran a survey amongst candidates regarding perks and found that a staggering 1/6th of candidates would sacrifice £5,000 of their annual salary for summer specific benefits! Little summer touches such as flexible working hours, work wear and free ice cream are inexpensive ways to stand our from your competition. 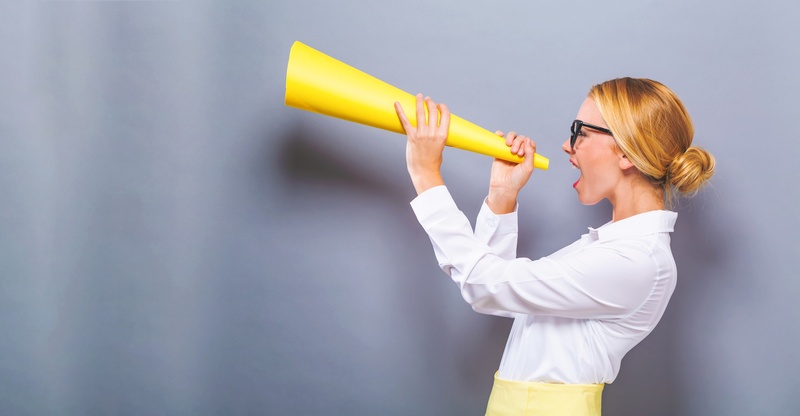 Happy employees are brand advocates. Cash in on your culture by having an employee referral scheme in place. Research from Undercover Recruiter found that referred employees have higher applicant to hire conversion rates, begin their position quicker and have greater job satisfaction. Unfortunately, our employees networks only stretch so far, at some point you will need to advertise a role. By having a great workplace and perks to showcase in your advertising makes convincing candidates to apply a breeze. Just as your products and services has a brand, so does your company as an employer. Employer branding is the art and science of building a reputation as a great employer. 72% of recruiting leaders around the world agree that employer brand has a significant impact on hiring, and even more so has a significant impact on your business’s success. Source: 10 Reasons Why Employer Branding is Important, Link Humans. A great brand can help you attract and retain the right employees. Focus on creating a story to your business that ticks candidates boxes before applying to your role. Candidates will be able to clearly see your competitive advantage and envision what it is like to work for your businesses. If you've not already, why not set up a Glassdoor page and invite current employees to give feedback. The best candidates vet out a role before applying and 69% of candidates would not take a job with a company with a negative reputation. 75% of job seekers consider an employers brand before applying for a job. When it comes to showcasing your brand there's no better way to do so than with a highly optimised career site. Give employees a glimpse into your organisation by creating a shop window that showcases just how great your company is to work for. Tell your business story, host trust signals and answer F&Q's to capture more applications from both passive and active candidates. Need some career site inspiration? Here's 10 great career site examples for inspiration. Want to see some examples of great employee testimonial videos? Click here. Whether it's due to time or available resources a large proportion of businesses with career pages don't actively promote their page to passive candidates. Promoting your employer brand is vital to attracting a steady streams of applications into the business. Research conducted by Apptitude Research Partners found that Best-in-Class Organisations are 55% more likely to proactively build and expand their candidate pipeline regardless of their current hiring needs. So, how do they do it? two words...Recruitment Marketing. Recruitment Marketing refers to strategies that an organisation uses to find, attract, engage and nurture talent before the prospect has applied for a role at the company. Social media is a great place to start with recruitment marketing. 67% of job seekers use Facebook; 45% use Twitter, 40% use LinkedIn, 31% use Instagram, 25% use Pinterest, and 17% use Snapchat. Source - Recruiting Brief. If you're on the lookout for young talent to fuel your business Recruitment Marketing is probably the most powerful tool at your disposal. 79% of job seekers use social media in their job search. This figure increases to 86% for younger job seekers who are in the first 10 years of their career. Source- Recruitment Brief. And there you have it. Four ways to stand out from your competitors and attract more talent. Unfortunately, building and promoting a brand isn't an overnight job. Rome wasn't built in a day! Budget and resources play a major part in the success of your attraction mission. However as the candidate market continues to stiffen and your business grows it's definitively a well made investment. Creating an employer brand that money can't buy can set yourself apart from competition and help you attract talent for years to come. At Talentvine we've helped thousands of UK businesses of all shapes and sizes attract and recruit top talent. From a Dragons Den Winner, to a Sunday Times Fast track 100 business our digital tool kit is the perfect fit for fast growing, ambitious businesses. We don't just help you get to the top, we help you stay there too. We're currently supporting a Nasdaq-100 business attract and recruit across the globe and a FTSE 250 successfully recruit nation wide. 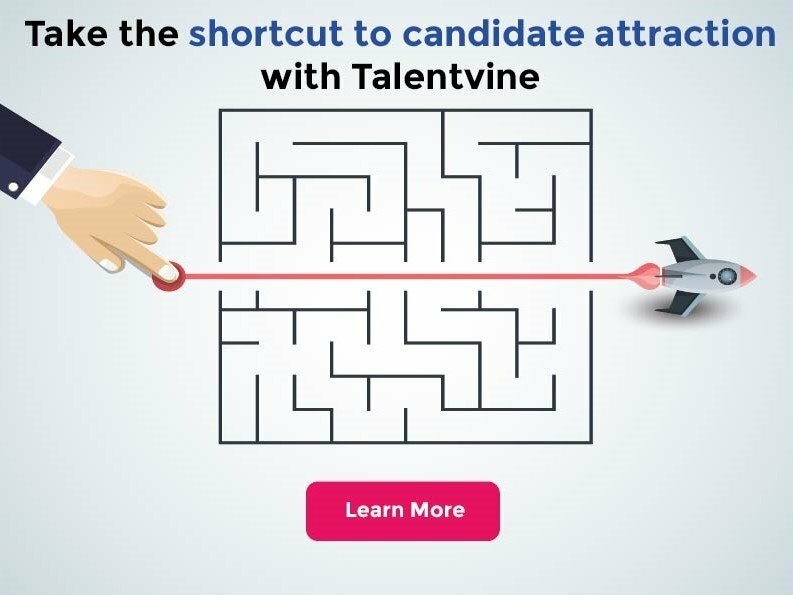 Find out how you can stand out from the crowd and attract more talent with Talentvine.